Happy Friday, everyone! I hope you’ve all had a great week! Yesterday was a pretty rough day for me—the anniversary of something bad that happened, my in-laws had to put their dog down (with whom we lived with for over a year, so he was in some ways “our” dog for a bit, too), and my best friend in town got some really bad news. So I’m really ready for a new day and for the weekend. Onward and upward! Football! For the past two years I worked retail all fall, which meant that I was always working on the weekends. I’m so excited to have a job where if I am working on the weekends, it’s only in the morning. I picked up a new Bluetooth shutter remote for my phone on Amazon and it works really well! I have yet to use it for anything other than weird selfies, but I’m hoping to be use it to get some better running photos and yoga photos if my hubby isn’t available to take them. I’d definitely recommend the one I got . It was only $8 and it’s been working really well. Be sure to pop on over to Heather’s linkup to see what other bloggers are loving this week! And, I’m also really excited that I have a lot going on behind the scenes at RWTS, too! First and foremost, within the next couple of weeks, Running with the Sunrise is going to change its look and its name! I’m blogging about so much more than running now, and I want the name of my blog to reflect that. So, stay tuned! I’ll be sure to let everyone know when it switches over (and you should automatically be forwarded to the new site if you click on any of my old links). I’m working on my new eBook! 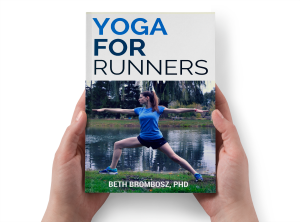 In case you missed my announcement on Wednesday, I’m working on a Yoga for Runners eBook. If you think you’d be interested in reading it, pop on over to that post and sign up to get more information when it launches. I’m working on a special bonus to give to folks who pre-order. 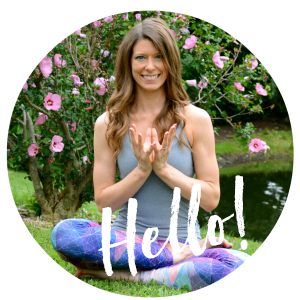 And, I’m putting together a Yoga for Runners 6 Week Program, an online program starting later this month that will walk runners through yoga basics and provide poses and sequences to target typical trouble spots for runners. Shoot me an email (beth@runningwiththesunrise.com) if you’re interested in learning more about the program! hard on all of those projects I just told you about! PSL lovers: have you gotten one yet? 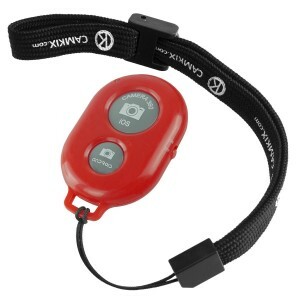 thanks for sharing about the shutter remote! I didn’t realize they had those for camera phones. I can’t wait for my first PSL of the year, but I’m more excited for eggnog/peppermint mocha season! I stopped getting the PSL bc it tasted so awful, but of course since they changed it I will have to at least see if it is palatable. I’m so sorry to hear about your dog. My Mom just recently had to put down her dog which used to be my dog. It was really tough. I had no idea they changed the PSL, but I don’t drink them so I wouldn’t be paying any attention to that. So sorry to hear about your dog! My Mom just recently had to put down her dog, which was my dog for 2 years. It was really tough. I didn’t even know they changed the PSL formula but I don’t drink them so I guess that’s why. 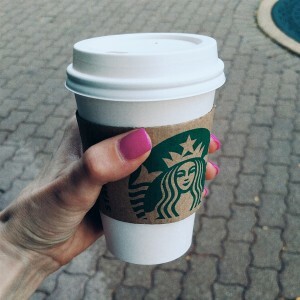 I love Pumpkin Spice Latte’s they are one of my favorite things about fall! I have a weird rule though since I have found anticipation makes the first one even better I can’t get a pumpkin spice latte until the high for the day is in the 50 degree range. Here in Minnesota that should be fairly soon and oh am I looking forward to a PSL! I definitely need a shuttter remote, but for some reason I had it in my head they were expensive. I’ll have to check out the one you have! I love the PSL and used to drink it all of Oct/Nov and then Gingerbread all Dec/Jan, but have you tried the Chestnut one the came out with… it replaced gingerbread for me… that good. That shutter remote is such a good idea! I’d never thought of it. In all honesty, I’ve never had a PSL. I hope this doesn’t hurt my blogger cred.